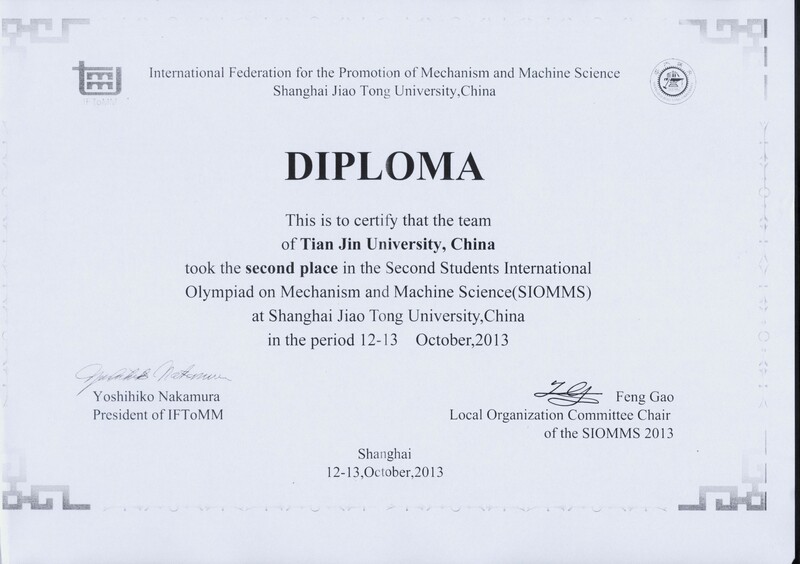 Last weekend, the team of Tianjin University won the second place in the Second Students International Olympiad on Mechanism and Machine Science(SIOMMS). 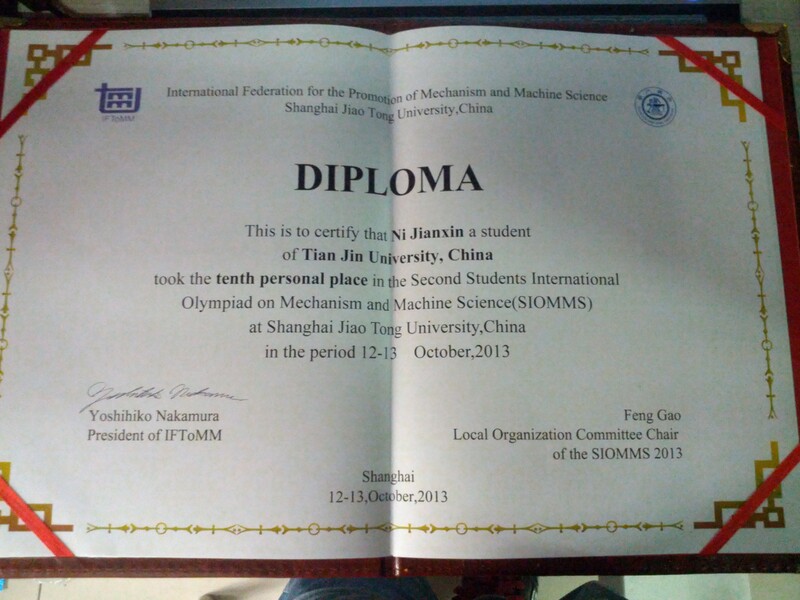 Our laboratory members, Wang zhi, Ni jiaxin got the second personal place and the tenth personal place as the participants respectively. 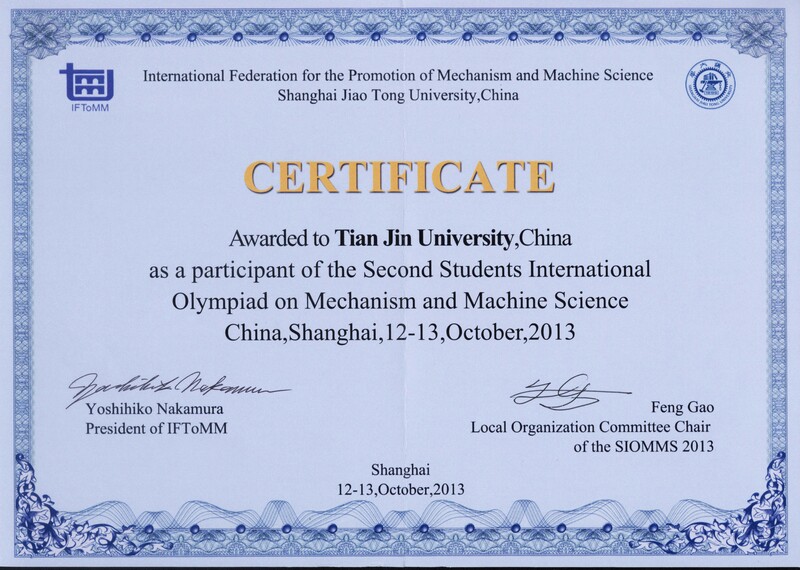 The Second Students International Olympiad on Mechanism and Machine Science(SIOMMS) is arranged by International Federation for the Promotion of Mechanism and Machine Science(IFToMM) and Shanghai Jiao Tong University. 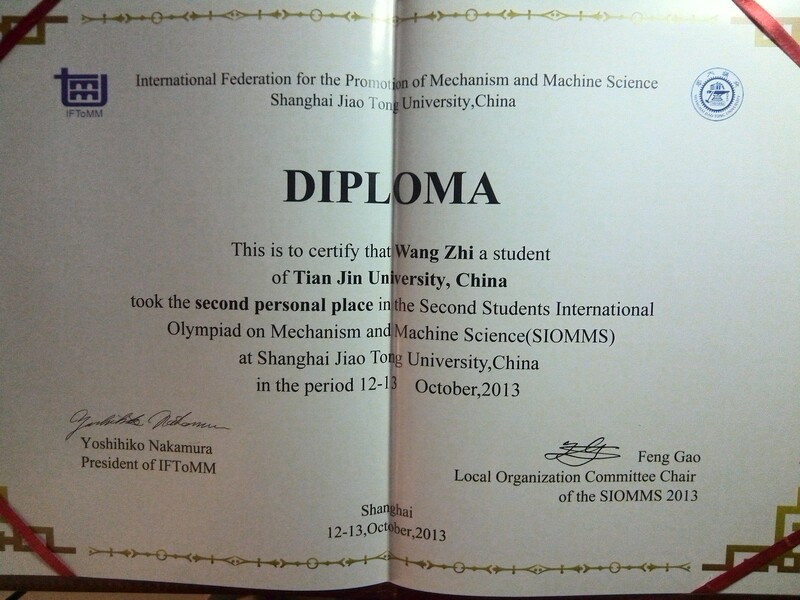 And there are fifteen teams which come from Russia, Japan, China, south Korean, Spain, and China Taiwan joining the competition.